How To Make Sure Your Recycling Efforts Aren’t For Naught #Infographic ~ Visualistan '+g+"
You reduce, reuse, and recycle, but is that enough? While making strides to reduce your impact on the environment is incredibly important, it’s also important to get the most out of your efforts. 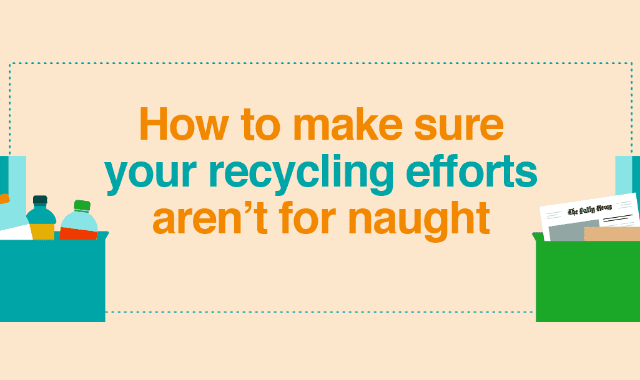 Recycling isn’t overly complicated, but there are plenty of common mistakes we make over and over that make it tough for recycling centers to do their jobs effectively.